Jana Matejki: Bitwa pod Grunwaldem. By Porebski, Mieczyslaw. (written text). (Editor - Rafal Glucksman). Warsaw, Poland. : Auriga, Oficyna Wydawnicza.. Very Good with no dust jacket. 1960. Hardcover. 8vo - 20.5 x 14 cm. ; 20 - (74) pp. The text is in Polish. Pictorial paper over boards. The paginated section is the text by Porebski. 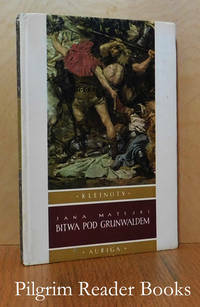 The latter part of the book is a collection of 65 plates with 2 in colour while the rest are in black and white and one of the colour plates is a 2 page fold out of the full painting by Jana Matejki of the battle. The other plates are of specific details of that painting. The interior of the book is clean and the binding is sound. Minor wear to the spine tips and the fore corners of the boards. Publisher's stamp on the front free end paper. 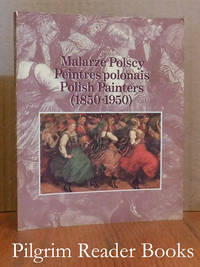 A clear and removable archival cover has been fitted. .
Malarze Polscy / Peintres polonias / Polish Painters, (1850-1950). Montreal, Quebec. : Ville de Montreal.. Near Fine. 1984. Hardcover. 8vo - 21.5 x 18 cm. ; 117 - (3) pp. A full colour catalog for the exhibition held in the Hall of Honour in the Hôtel de Ville in Montréal from September 8th to October 13th of 1984. 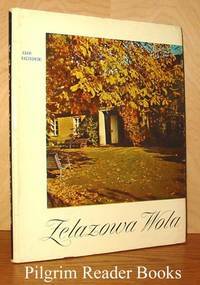 The text by Wladyslawa Jaworska is in Polish, French and English throughout. Previous owner's name on the inside of the front cover and the fore corners of the covers have mild shelf wear. Otherwise clean with a sound binding. .
Cracow, Poland. : Panstwowy Instytut Wydawniczy.. Very Good- in Fair dust jacket. 1953. Hardcover. 8vo - 20.5 x 14 cm. ; 23 - (5) - (46) - pp. The text, 23 numbered pages, is in Polish. Patterned brown paper over boards with off white lettering on decorative panels. illustrated with 45 pages of black and white plates, one of which is a two panel fold out page with all the photography done by Ewa Kozlowska. The book has mild to moderate wear to the board corners and spine tips and the end papers are tanned. A hand written note, neatly done, is tipped in on the gutter margin of the plate "Kardynal Gaetano" and makes reference to the picture. Otherwise the book is clean with a solid binding. The dust jacket is worn on the edges and folds with 2 previously repaired closed tears on the front with the repair having been made on the inside of the jacket. .
Warsaw, Poland. : Teatr Wielki w Warszawie.. Very Good+ in Very Good+ dust jacket. 1972. Softcover. 8vo - 23.5 x 14.5 cm. ; Unpaginated with 80 pages. The text is in Polish. Bound in off-white covers with a saddle stapled binding. 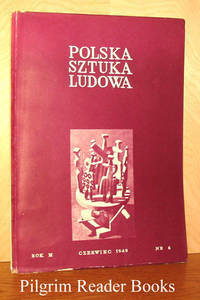 The program for the 1972 production of the opera by Teatr Wielki in Warsaw. 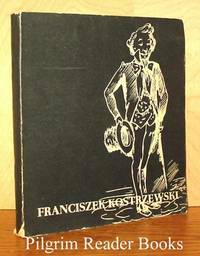 Also included are the cast lists for the 1970 production in Grudzien and on a 2 page folde prochure, the cast list for the 1972 production by Teatr Wielki. The full colour folk art style dust jacket is present. Both booklet and jacket show only minor shelf wear, otherwise clean and tight. .
Warsaw, Poland. : Czytelnik Warszawa.. Very Good+ with no dust jacket. 1977. Hardcover. 8vo - 20.5 x 14 cm. ; 562 - (2) pp. The text is in Polish. White linen over boards with black lettering on the spine and a green panel with black and white lettering and art work on the front in the top fore edge corner. An English transliteration of the title is "The great artists of small scenes". Profusely illustrated with many black and white photographs and a 29 page index of names is at the back. Binding designed by Jerzy Jaworowski and the photographs were prepared by Leonard Sempolinski. The externals show quite mild shelf wear to the board corners and spine tips while the interior is clean and the binding is sound and solid. .
Warsaw, Poland. : Interpress Publishers.. Near Fine in Very Good+ dust jacket. 1974. Hardcover. 8vo - 23.5 x 20 cm; 157 -  pp. Gray cloth over boards with orange and blue lettering on the front board only. Photographic end papers. Layout and design by Jozef Wikon. 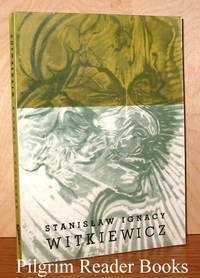 Translated from the original Polish by Robert Strybel. Also published in French, German, Polish, Russian and Spanish editions, this being the English edition. 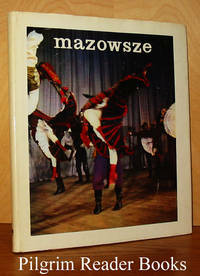 A photographic history of the Mazowsze Ensemble upon the occasion of their 25th anniversary. Profusely illustrated with black and white and colour photographics. 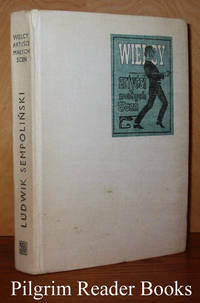 The dust jacket has some mild wear on the head edge and the back panel, some light soiling. .
Warszawa, Poland. : Instytut Wydawniczy.. Very Good-. 1967. Softcover. 12mo - 19.5 x 12.5 cm. ; 266 -  pp. The text is in Polish. Pictorial wraps in black and white. Illustrated with 24 pages of black and white reproductions. The covers show light though general wear and soiling and the binding is a tad cocked (spine lean). .
Warszawa: Ksiaznica Atlas. Very Good. 1926. Softcover. 4to - 30 x 24.5 cm. ; 35 pp. Text is in Polish. Illustrations. Artur Grottger (1837-1867) was a Polish painter and graphic designer. Paper wraps lightly worn, small stain on title page. .
Warsaw, Poland. : Sport I Turystyka. Very Good in Good dust jacket. 1970. Hardcover. 8vo - 24 x 19 cm. ; 31 -  pp. Off-white linen over thin boards with black lettering on spine and a black musical symbol on the front board. This is the third edition. Originally the country house of the Skarbek family, Zelazowa Wola, is now considered the cradle, in more than the literal interpretation for the family moved to Warsaw shortly after the composer's birth, of Frederic Chopin and has been extensively restored The 31 numbered pages consist of an introduction in Polish, English, French, Spanish, German, Russian (Cyrillic) by Jaroslaw Iwaszkiewicz. The remaining 75 pages (unpaginated) consist of numbered plates in black and white (a visual testament to Chopin that is quite stunning) with a fold out multi-lingual legend at the back. Very slight shelf wear to the book while the dust jacket is mildly shelf worn and lightly soiled. .
Krakow, Poland. : Wydawnictwo Literackie. 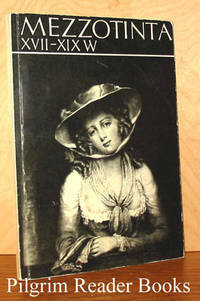 Fair in Poor dust jacket. 1965. Softcover. 8vo - 24 x 17 cm. ; 263 pp. Text is in Polish. Illustrated, bibliography. Collection of essays. Card stock covers are soiled with some edgewear, text block edges soiled with a small ink stain. Dust jacket missing sections. .
Kornik: Nakladem Biblioteki Kornickiej. Good. 1953. Softcover. 12mo - 17 x 24.5 cm. (oblong). 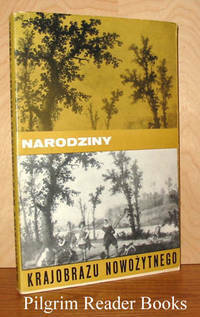 ; 19 pp, unpaginated section with 16 illustrations of Polish peasantry. Text is in Polish. Paper wraps sunned, edgeworn. .
Krakow, Poland. : Muzeum Narodowe w Krakowie. Good. 1964. Softcover. 8vo - 20.5 x 15 cm. ; 262, unpaginated section with 105 b/w illustrations. Text is in Polish. Wystawa Urzadzona w Szescsetna Rocznice zalozenia Uniwersytetu Jagiellonskiego. 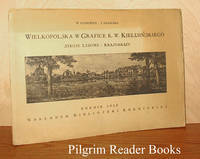 Katalog - Malarstwo tablicowe, Malarstwo miniaturowe, Grafika, Rzezba, Rzemioslo artystyczne, Medale i monety, Archiwalia, Bibliografia, Uzupelnienia. 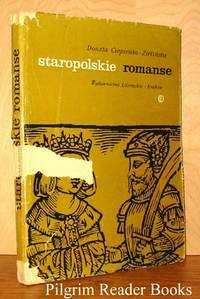 Card stock covers have some soiling and edgewear, some thinning to half-title page. .
Warszawa, Poland. : Muzeum Historyczne M. St. Warszawy. Good+. 1963. Softcover. 8vo - 19.5 x 17 cm. ; 191, (41) pp. Text is in Polish. 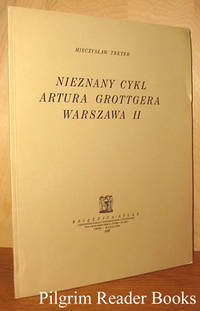 Catalog of the works of Polish artist, Kostrzewski (1826-1911). A number of b/w illustrations. 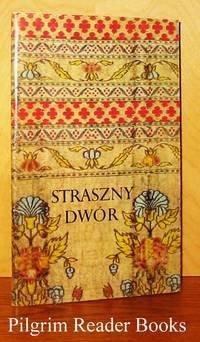 Card stock covers have some edgewear and closed tears at the foot of the spine. .
Krakow, Poland. : Muzeum Narodowe w Krakowie. Very Good. 1966. Softcover. 8vo - 20 x 15 cm. ; 125, (40) pp. Text is in Polish with a Resume in French. Witkiewicz (1885-1939) was a Polish painter. B/W illustrations. Card stock covers have some light edgewear; text is tight and clean. .
Wroclaw: Muzeum Narodowe We Wroclawiu. Very Good-. 1971. Softcover. 8vo - 20 x 14.5 cm. ; 136 pp. Text is in Polish with summaries in French and English. 40 b/w illustrations of mezzotint or "black art". Some soiling and edgewear to card stock covers; text pages clean. .
Warszawa, Poland. 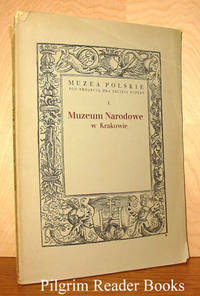 : Muzeum Narodowe. Very Good in Very Good dust jacket. 1972. Softcover. 8vo - 24 x 16 cm. ; 162, unpaginated section with 121 illustrations. Text is in Polish. Katalog wystawy ze zbiorow. Besides the b/w illustration s and descriptions of the works, there are the following short essays: "Narodziny nowozytnego krajobrazu" by Jan Bialostocki; "Niektore problemy malarstwa pejzazowego w Wencji w okresie Cinquecenta" by Marianne Haraszti-Takacs; "Praga jako osrodek malarstwa pejzazowego w czasach Rudolfa II" by Jaromir Sip; "Natura zywa: malarstwo pejzazowe Elsheimera" by Anneliese Mayer-Meintschel. Card stock covers have light edgewear and minor soiling on text block edges. 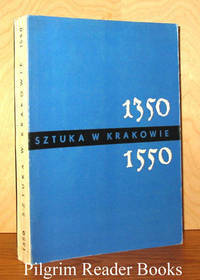 Dust jacket lightly soiled with minor edgewear. .
Krakow, Poland. : Nakladem Drukarni Narodowej. Very Good. 1923. Softcover. 4to - 26 x 18 cm. ; 24, unpaginated section of illustrations. Text is in Polish. Wybor i opis celniejszych zabytkow. Muzea Polskie pod redakcja Dra Feliksa Kopery, I. Photos and description of 132 museum artifacts. Paper wraps have some tears and chipping on edges. .
Warszawa, Poland. : Wydawnictwa Artystyczne i Filmowe. Very Good in Good dust jacket. 1964. Hardcover. 4to - 25 x 18 cm. ; 154 pp. Text is in Polish. Illustrations, notes, bibliography, index, summaries in English and Russian. 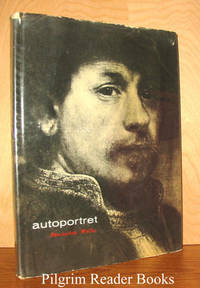 Examines self-portra its by various artists and is divided into three parts: first part discusses the psychical and social foundations of self-portrait; the second part examines some interesting forms of self-portrait; the third part deals with the problem of resemblance and transformation in portrait and self-portrait. Cloth-covered boards have minor edgewear and text is tight and clean. 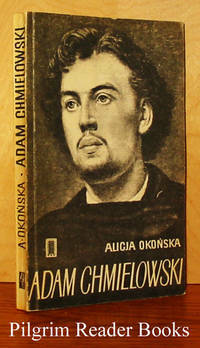 Dust jacket has a printed plastic cover over a paper jacket; some edgewear, closed tears, soiling. .
Warszawa, Poland. : Nasza Ksiegarnia. Very Good in Good+ dust jacket. 1977. Hardcover. 4to - 25 x 19.5 cm. ; 149 pp. Text is in Polish. Illustrated by author. Paper-covered boards with matching endpapers. Light edgewear, otherwise volume is tight and clean. 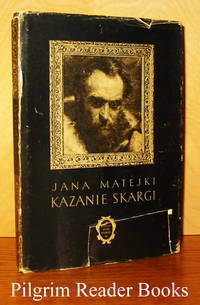 Dust jacket is soiled and rubbed with closed tears. .
Warszawa, Poland. : Panstwowy Instytut Badania Sztuki Ludowej. Very Good. 1949. Softcover. 4to - 29.5 x 20 cm. ; Pp. 163-192. Text is in Polish with Russia, French and English summaries for the first and third articles. 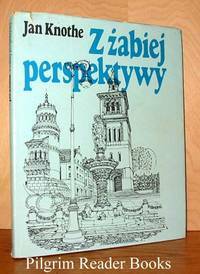 Articles: Polskie Zabawki Ludowe by Tadeusz Seweryn; Konkurs w Opocznie na Regionalne Zdobnictwo Ludowe by Kazimierz Pietkiewicz; Na Marginesie Pierwszej Ogolnopolskiej Wystawy Plastykow Amatorow by Leonard Zycki; Ogolnopolski Festival Muzyki Ludowej by Marian Sobieski; Wystawa Sztuki i Rekodziela Ludowego w Warszawie by Janina Ginett-Wojnarowiczowa. Light wear on covers. .